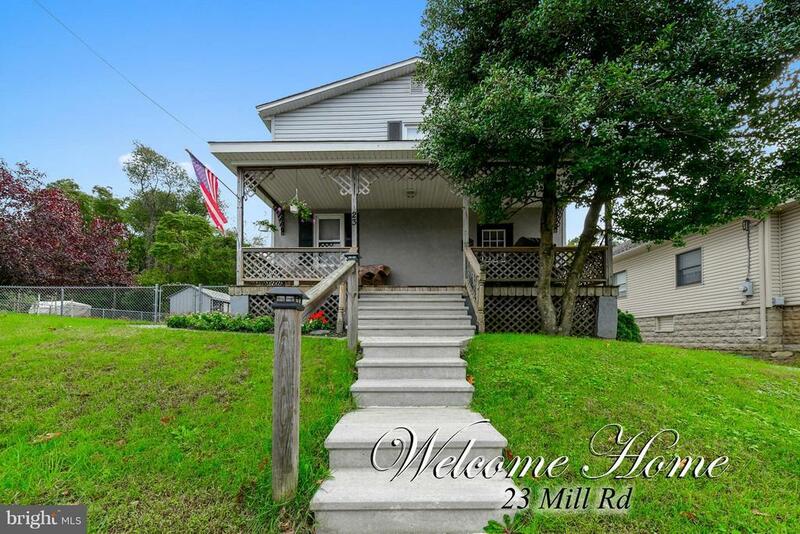 Completely move in ready 3 bedroom, 2 full bathroom colonial in Burlington Township. This owner has completely updated this house from top to bottom. The first floor offers a spacious foyer, living room with neutral paint and wall to wall carpeting, dining room with laminate wood flooring and a remodeled kitchen. The kitchen offers Schrock all wood functional cabinets enhanced by swan stone counter tops with a molded sink, newer appliance package to include a refrigerator and stainless steel gas stove, microwave and dishwasher. Also located on the first floor is a completely updated full bathroom and a mud room with new laminate flooring. The upstairs offers 3 spacious bedroom all with brand new wall to wall carpeting plus another updated full bathroom. There is a full partially finished basement. The finished portion of the basement includes your laundry room with washer and dryer included. The unfinished area of the basement and the crawl space offer plenty of extra storage space with lots of shelving. Extras to note - Vinyl siding, vinyl double hung windows throughout with custom blinds, brand new hot water heater and chimney liner, 8 year old roof, gas heat, central air, parking for 5 cars, Amish 8 x 12 shed included, fenced yard, professional landscaping and hardscaping, public water and public sewer. Absolutely nothing to do here but move in. Elementary School: Fountain Woods E.s.